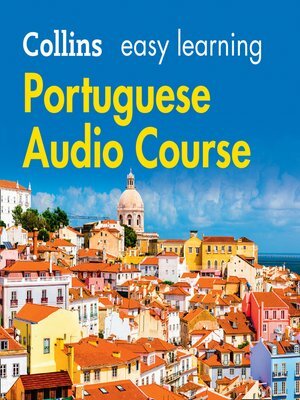 The UK's bestselling audio series for learning a language The Easy Learning Portuguese course is the perfect language learning course for holidays and business trips abroad. The accompanying booklet is also available at: collinsdictionary.com/resources. Easy to learn – Portuguese grammar made simple Easy Learning Portuguese teaches you key words for the most important situations and lets you expand your language through a variety of activities. You choose whether to focus on learning the essentials or to progress to some more challenging activities – so whether you're a beginner, or you want to refresh and build upon your existing knowledge, you can become confident in Portuguese without even having to pick up a pen. Download the accompanying booklet from www.collinslanguage.com/easy-learning-audio-courses Topics covered: Unit 1: Hello!Unit 2: Excuse meUnit 3: Where's the hotel?Unit 4: Over thereUnit 5: What would you like?Unit 6: Have you got..?Unit 7: Can you help me?Unit 8: I want to go to...Unit 9: Do you go to..?Unit 10: It hurtsUnit 11: For when?Unit 12: What's it like?